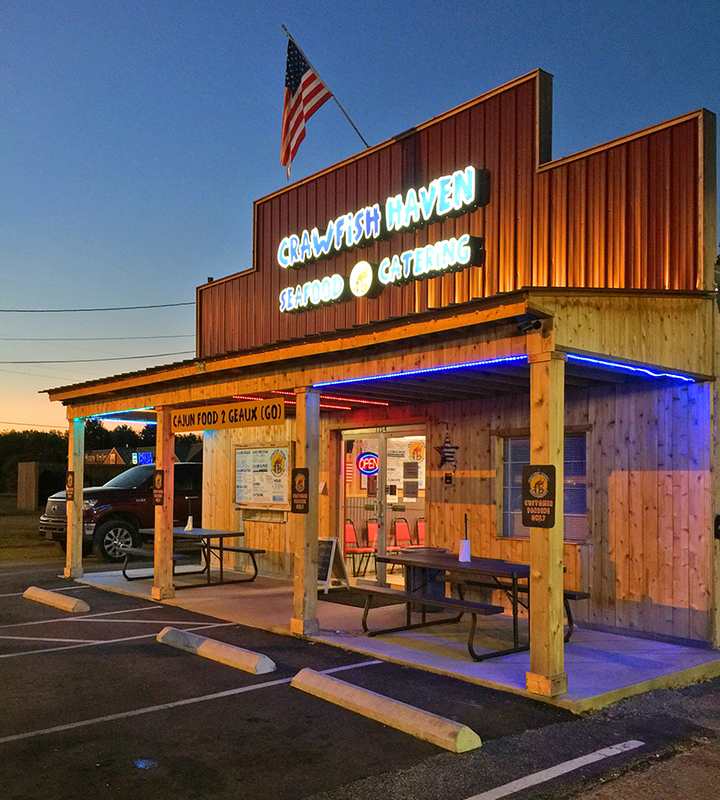 Welcome to Crawfish Haven Seafood and Catering! We are a family owned and operated restaurant, take-out and catering business located at 2100 Goodman Rd. W., Horn Lake, MS, (Next door to Hubcap Annie). Jason Marbury has been cooking Cajun crawfish and seafood for over 15 years. We offer authentic Cajun Creole cuisine cooked in our very own special Cajun family seasoning recipe. We believe that our seasoning is our “lagniappe” (a little something extra). We offer a variety of items boiled in this special seasoning, including crawfish, shrimp, snow crab, Dungeness crab, Cajun sausage link, corn and potatoes. We also offer Crawfish Étouffée, several types of Gumbo, Cajun Red Beans & Rice w/sausage, Cajun Shrimp n Grits, Pork & Sausage Jambalaya, two types of Authentic Boudin, Hot Pork or Crawfish. Our mission is to offer the best authentic Cajun Creole cuisine in the Mid- South! We hope you will come by and pick up some of our great food or just enjoy it with us on our big covered patio equipped with our famous signature wall, clean restroom, 55” television for games or music, fans and its BYOB! We also bring to North MS and the Memphis area your only Cajun Stop that offers LIVE CRAWFISH already WASHED and READY for the boil from January to end of July!